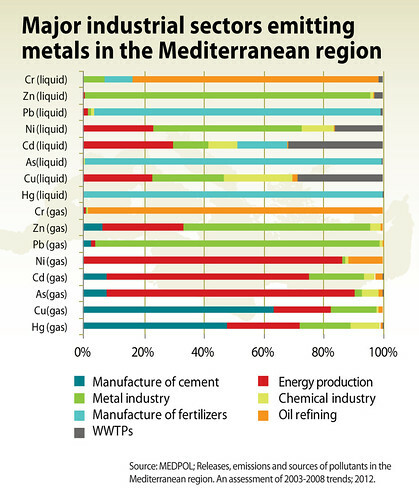 In the Mediterranean countries, according to the National Baseline Budget (NBB) inventory, atmospheric emissions of metals are mostly related to the cement industry (Hg, Cu), production of energy (As, Cd, Ni) and the metal industry (Pb, Zn). 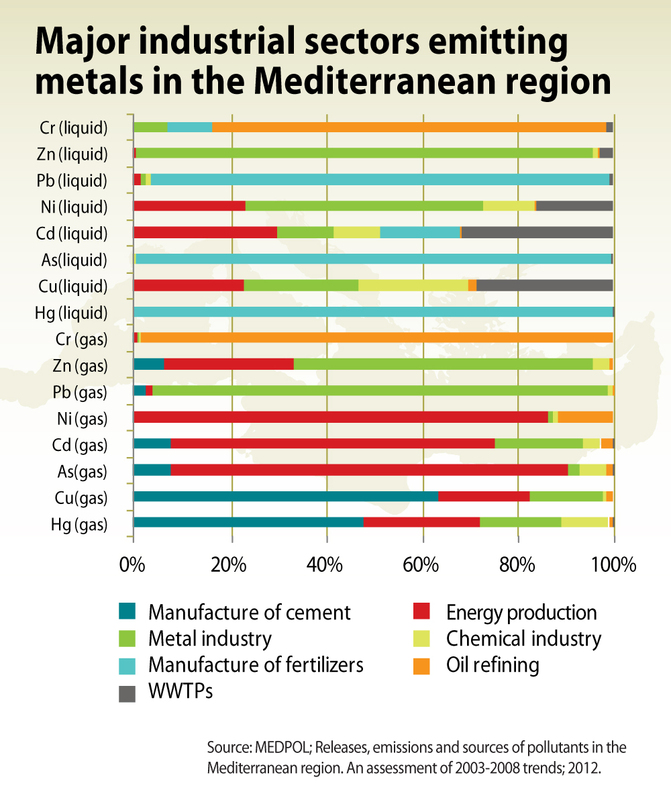 Water releases appear to be mostly related to the fertiliser industry (Hg, As, Pb), metal industry (Ni, Zn) and wastewater treatment plants (Cd, Cu), with important contributions also from the energy sector and the chemical industry. 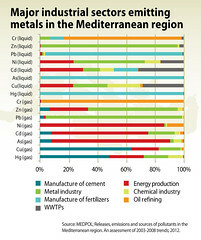 Oil refining is the main source of chrome releases, both to air and water (UNEP/MAP/ MEDPOL, 2012).